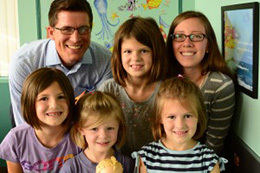 “Out of the blue, Tessa had tummy pain so bad we had to go to the ER,” Tiffany says. It was severe constipation. The medical doc proposed medications, but Tiffany felt that wasn’t the answer… Alina, the eldest had always sleepwalked. Now she sleeps steady through the night without waking up… Tiffany got rid of headaches and severe menstrual cramps…”. … read more. “Four-and-a-half year old Tashi K. began coming to Whole Family Chiropractic just a few short months ago in February, 2015. “Almost immediately” says her mom, Sue, Tashi’s urinary frequency—which seemed anxiety-related—completely stopped.” … read more. 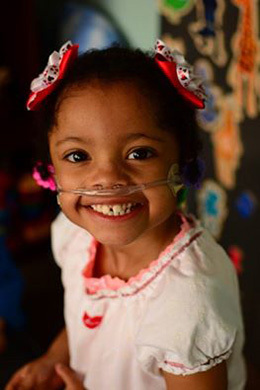 “Charitee was born with a hole in her diaphragm, underdeveloped lungs, and “wonky anatomy,” says her adoptive mom, Sarah D.
In addition, Charitee had other developmental deficits stemming from her prenatal environment, including severe scoliosis and sleep and behavioral problems. 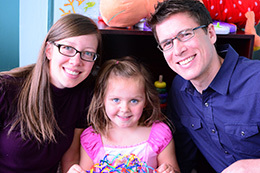 …in just the few short months between July and October, Charitee’s scoliosis straightened out. And by winter, the medical doctor told Sarah that Charitee no longer needs the brace. “Charitee’s body is fixing itself on the inside…”. … read more. 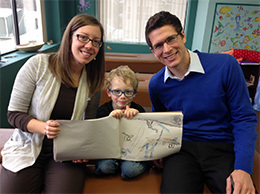 Five-year-old Kellar Y.’s parents discovered he was blind in one eye when he was three. Because this went undiagnosed, Kellar had a lot of sensory issues, said his mom, Sally. “We had consulted numerous practitioners from homeopaths to vision therapists and psychologists,” Sally said. “Because of his limited vision, Kellar was stressed out, anxious, and nervous, even withdrawn. 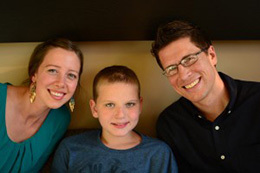 Kellar’s occupational and vision therapists recommended that his parents try neurological chiropractic care to help Kellar with his mood swings, sleeping problems, anxiety, and eye function and coordination…” … read more. “From being completely nonverbal with just signs and a few sounds, we are now seeing him say about 20 words, and every day he attempts new ones. His language has also become clearer, and he can articulate better…” … read more. 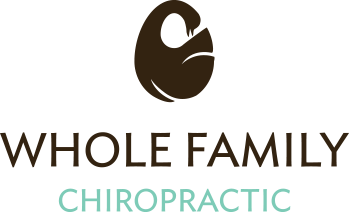 Five month old, Kendra, has been adjusted at Whole Family Chiropractic by Dr. Tye and Dr. Chelsey almost every week of her life! Around 2 months, Kendra and I started having breastfeeding issues. She would refuse to eat mostly from my right side. Specific adjustments to help my body boost my milk supply as well as adjustments to help Kendra be able to feed with ease from both sides got us back on track… … read more.